Standing out from the crowd is important for small businesses to get ahead and grow their customer base. A great way to do that is to come up with a distinctive word, symbol, or design to brand your company. But how do you keep that distinctive identity that differentiates between you and your competitor? Trademark it. A registered trademark legally protects your intellectual property from misuse and imitation. But keep in mind that if you register your trademark in Canada, it is only protected by law in Canada. A good trademark consists of distinctive terms which are often arbitrary and fanciful, rather than suggestive, descriptive or generic. Maximize the likelihood of registration by trademarking something completely invented or that makes only the slightest reference to the nature of the wares or services provided. an official symbol, coat of arms, badge, crest, emblem or name (e.g., the Canadian flag, the letters "R.C.M.P. ", the name "United Nations", the symbol of the Red Cross). If there is a design component, you may wish to register both the language and design separately to get maximum legal protection. Be prepared to wait for response to your registration application. In Canada, the process can take up to 8-10 months to complete. If there is opposition, the process can take much longer. Fees are $250 for each trademark request and non-refundable, so make sure your trademark is distinct and original in order to have a successful registration. 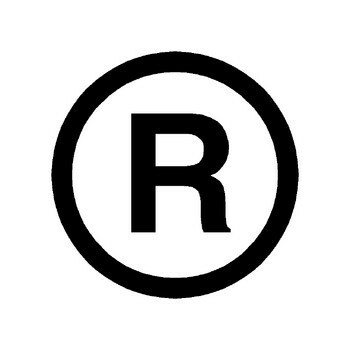 For more information on trademarks, please visit CorporationCentre.ca!